Via Sforza 10, 00184 Rome, Italy. 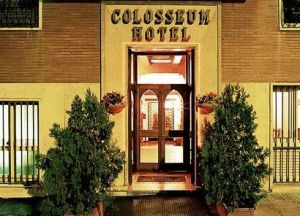 Hotel Colosseum is located in the center of monumental Rome, immediately near Colosseum, Santa Maria Maggiore and Domus Aurea. A splendid panoramic view of Rome from the hight of Esquilino hill, in the historical center and it will give you the possibility to view the eternal city from a privileged position. 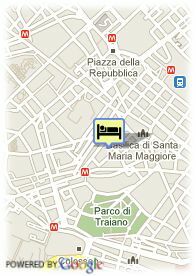 We invite you to stay in a classic and elegant hotel where italian hospitality is the specialization of all our services. Near the historic centre, Near subway / tramstation. For older children and adults 59.00 € for each additional bed is charged. Babybeds: 15.00 € for each additional babybed.